I have previously posted about how to rebuild the Bananian kernel to include port multipler support so you can connect multiple hard drives to the Banana Pi through SATA. Thanks to Igor’s images for Armbian and his build scripts it is ridiculously easy to make your own image that is guaranteed to work on the Banana Pi. Incidentally it will also work on the Orange Pi devices that are based on the Allwinner A20 chipset (the H3 chipset devices like the Orange Pi 2 and Plus are not currently supported). I have also included a prebuilt image at the bottom of this post for Debian Jessie. 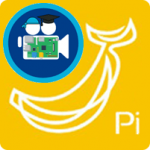 I am using this custom Banana Pi image with the JMB 321 port multiplier available on AliExpress which costs $29.00 including shipping. I got this 4 x 2.5″ bay ($30) which allows you to put 4 2.5″ hard drives into a single 5.25″ bay and a molex to DC power adapter to power the 4 hard drives in the bay. I plan to use 4 x 2 TB Samsung drives eventually running SnapRAID. For under $70 I could use older hard drives with this setup, I will also have a useful bay that I can use in future projects or servers. 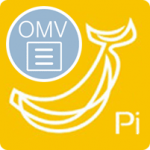 You are going to build a minimal Banana Pi debian image with port multiplier support enabled in the kernel as a module so it can be enabled and disabled by adding a single line to a configuration file. 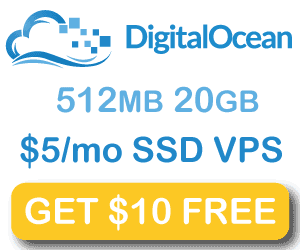 This requires a Ubuntu 64 bit environment, if you are on Windows you can create a virtual machine using Virtualbox or VMPlayer to create the virtual machine. 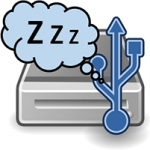 SSH into your virtual machine or run the terminal directly on it. You will eventually be prompted for some configuration options, I just accepted the defaults by pressing Enter. 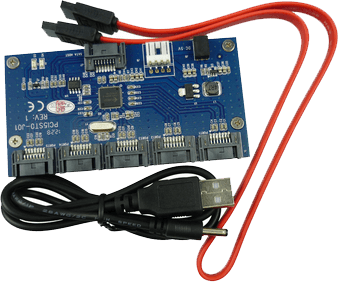 You will now have a working Banana Pi Pro image that supports WiFi and non-WiFi models and modular SATA port multiplier support! The image that you can burn to your sd card sitting inside a zip file called Bananapi_Debian_3.0_wheezy_3.19.7.zip. When it’s done transfer the image zip onto a USB and unpack it (hint you can connect USB devices to the Virtual machine). You will see a .raw file you can rename to .img and flash with Win32Imager, Apple Pi Baker or whatever you usually use to write the image to the SD card. After running build.sh the first time you already have the kernel and image. After you make changes like the ones above, you rebuild it using the same command, this time it will go much faster (like 15 minutes) to update the image with your new kernel configuration. Now I can see the 4 x 2 TB Samsung drives I bought for this project. /dev/sda1: LABEL="HTPC Guides 1" UUID="190D-153C" TYPE="vfat"
/dev/sdb1: LABEL="HTPC Guides 2" UUID="1917-2940" TYPE="vfat"
/dev/sdc1: LABEL="HTPC Guides 3" UUID="19E3-1C09" TYPE="vfat"
/dev/sdd1: LABEL="HTPC Guides 4" UUID="1911-0E2F" TYPE="vfat"
If you ever want to disable the port multiplier, just remove the options ahci-sunxi enable line. Generate a hashed passphrase, replace SSID with your wireless router’s SSID and wifipassword with the actual password to access WiFi.